VERY MOTIVATED SELLER! MOVE IN READY, canalfront 2 story unit at the picturesque, private complex of Lemon Cove. This 2 BD, 2.5 BA condo features a remodeled kitchen with quartz countertops, stainless steel appliances, and white shaker cabinets. Enclosed porch creates a spacious living room with calming water views. Updated half bath downstairs. Both upstairs bedrooms are private en-suites with plenty of natural light. Storage galore, impact windows/doors. Complex has a new roof, new landscaping, full concrete restoration - ALL assessments paid. Truly a hidden gem in Marathon within 1/2 mile to Sombrero Beach! Dock your boat (up to 30 ft of dockage available). 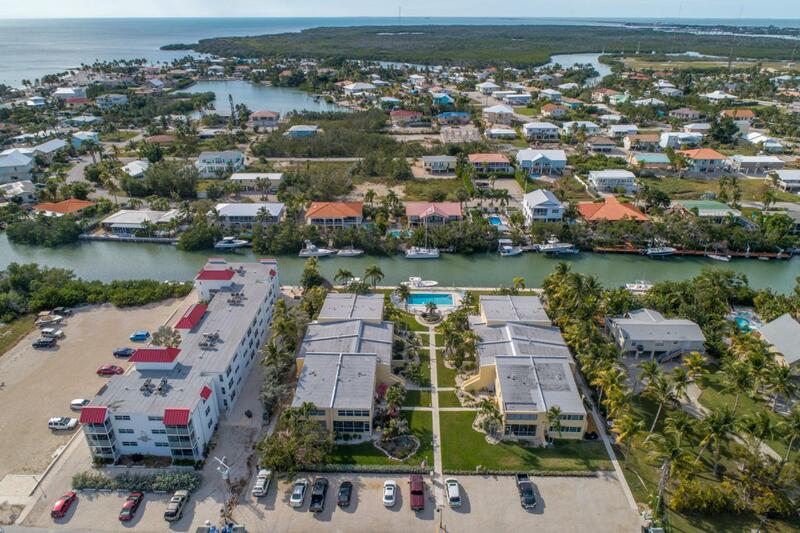 Exquisite location and a MUST SEE for all the FL Keys has to offer. HOA FEE AT $3110 QUARTERLY FOR 2019 ONLY!